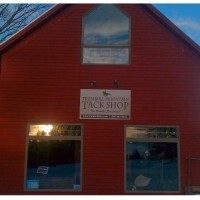 As a premier horse tack shop we know, Narrow horses can offer some saddle fitting challenges. We don’t see as many of these horses as we used to, since not only are we tending to breed more warmblood horses, including draft crosses, but also, in good American fashion, we do tend to keep our horses a bit on the plump side. There are not many horses that truly need a ‘narrow’ tree in a saddle. Try to be very careful not to commit to a saddle when your horse is underweight or in poor muscle condition. Often, a tree that is too tight will actually hinder the muscle development behind the shoulders and the horse never does develop a good strong topline. You can get tremendous changes in the shape of a horse as he gains fitness and strength from good flatwork, stretching and cavaletti work. With that said, yes there are some horses who are slim, fine and rangy with a very prominent wither and a lower back that may require a narrow tree in order to give enough clearance at the spine. There are a few other options that may be worth considering. Wither gussets can be wonderful for that horse who has hollows or ‘shelf’ like areas along side of the withers and immediately behind the shoulders. If you have problems with your saddle ‘falling down’ into a hole and wedging tightly behind the shoulder, this option may be very helpful. Another advantage of the gusset is that it allows a saddle fitter a bit more room to add flocking and can square off the front of the panel to offer more support and cushioning. We have a customer who described her horse’s wither to be like a ‘shark fin’. Not only was the wither tall and prominent, it also went about a third of the way back under the saddle. A panel style called a ‘trapezius’ or ‘dropped’ panel offers a greater surface area and brings the supporting area of the panel down onto the top of the ribcage. This panel also has a deeper rear gusset which helps to keep the saddle level on these narrower horses who tend to also be dropped in the back as well. This tends to help support and lift the saddle up a bit more offering more clearance for the spine. Not surprisingly, these narrower horses are often thoroughbreds or other fine and delicate breeds who can be more sensitive to pressure than some of their bigger cold blood cousins. They can often be more expressive about saddle discomforts, so it becomes critically important to find an excellent fit. A thick panel that is well stuffed with flocking can increase the clearance of the gullet height over the spine. A slightly narrower gullet width or channel from front to back may be necessary for stability, but make sure the gullet width is fairly even and does not impinge on the spine. A cutback pommel can help in some cases with horses that have a truly huge wither, but be ever so cautious that the pressure is not occurring a few inches further back under the saddle where it is harder to see. Years ago, cutback pommels were touted to be a cure all for every fitting problem. A cutback head does not change the width of the tree in any way, and the only thing that often happens is that saddles with that feature may ride a bit tighter in the seat and also have a steeper rise where the twist meets the pommel area. Many owners are hesitant to purchase a saddle for a horse that is young and undeveloped. Narrow treed saddles tend to be hard to resell, since the market for them is somewhat limited. If you think your horse may do some major changes in growth, weight and development, the Bates and Wintec saddles with the changeable tree plates can be an excellent solution. These saddles accommodate six different plates ranging from narrow to extra wide. This is a saddle that can really grow with your horse. 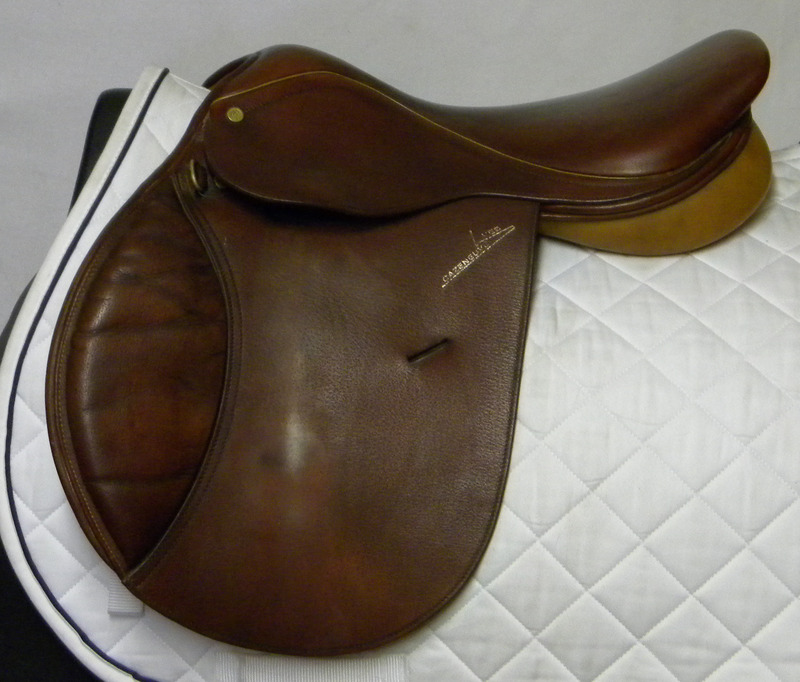 If those saddles don’t meet your needs, there are many other excellent saddles on the market. Generally, narrow horses are more ‘tent shaped’ in their back while wide horses tend to be flat like a table. Even after finding a tree width that seems to work, make sure that the panels are at the appropriate angle for the rest of the horse’s back. Foam panels can not be adjusted very much, and even though wool can be altered, you want to make sure that he basic shape of the tree does conform to the shape of the horse’s body and you are not trying to create the entire shape of the saddle with stuffing- it just wont hold. Lastly, there are some excellent pads on the market that can be useful to help fit the saddle until the horse does develop his own muscling and weight. Make sure whatever pad you chose that it doesn’t just fill in the whole gullet of the saddle, creating pressure on the spine. Some pads are just ‘thick’ but don’t have any shape or contour at the back. Since a prominent wither is often one of the features of a narrow horse, it is paramount that your pad does not create the problems that you are trying to avoid. Unfortunately some of the less expensive injection molded foam lift pads are just too thick and awkward and can make the saddle perch precariously. The Mattes correction pads are one of our favorites. These quality pads have well placed and well designed front and rear pockets that can be filled with felt shims. These shims are quite thin and can be layered to create the appropriate thickness to balance the saddle. As the horse develops, the shims can be removed. The ‘Skito’ pad has pockets that run on either side of the spine. They are filled with an even thickness memory foam shim that also offers some lift and good protection. Skito also makes tapered front and rear shims that can be added as well. As with every saddle fitting challenge, it is worth taking the time and effort to try to do the best you can to find a comfortable fit for your horse. Wither tracings and photos can be a huge help in narrowing the field down. Even if you spend a lot of money on shipping trial saddles back and forth, it is far better to do that than be stuck with something that causes discomfort in your horse.